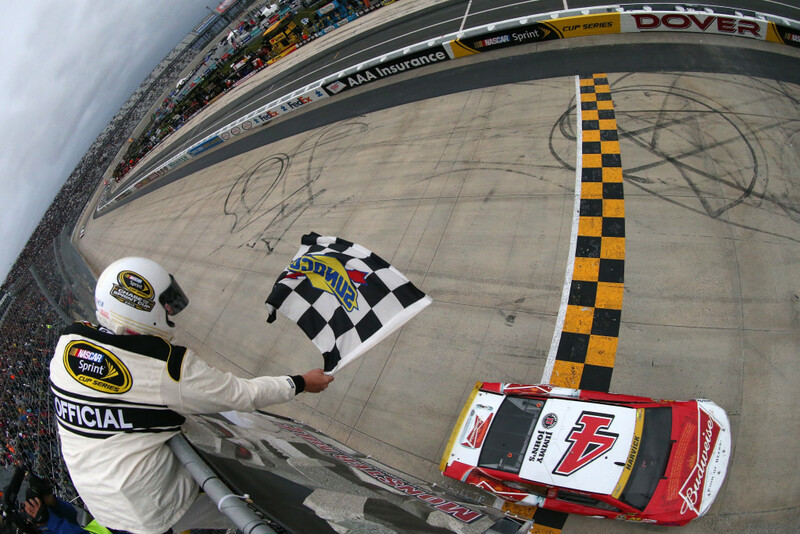 RacingJunk News > Racing > Other Racing > Asphalt Oval Racing > Will Dover Win Propel Harvick to Second NASCAR Sprint Cup Title? Will Dover Win Propel Harvick to Second NASCAR Sprint Cup Title? NASCAR Sprint Cup Series AAA 400 at Dover International Speedway on October 4, 2015 in Dover, Delaware. From zero to hero to champion. While last Sunday’s race at Dover was just one of 10 races in the Chase for the Sprint Cup, it arguably may wind up being the kick-start that Kevin Harvick needed to propel him on to a second straight championship. We all know what was on the line this past Sunday: Harvick was in a win-or-else situation. 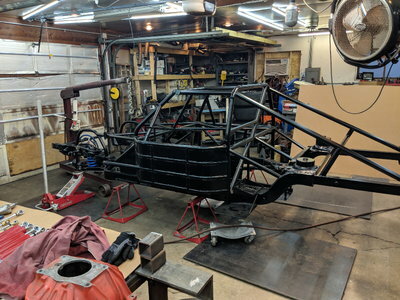 Either he took the checkered flag at Dover or he would be eliminated from further advancement into the second round of the four-round Chase. From the second that the green flag dropped in Delaware, Harvick drove like a man possessed and dominated the event, leading 355 of the race’s 400 laps. No one could touch him by a country mile, he was that bound, focused and determined. That Harvick did what he had to do in a win-or-else situation is not surprising. He was in a similar position in last year’s Chase, where he had to win at Phoenix in the second-to-last race to advance to the winner-take-all championship-deciding season finale the following week at Homestead-Miami Speedway. And win Harvick did. Then, as if to put an exclamation mark on everything, he wound up winning at Homestead-Miami to put a bow tie on the championship. I’ve covered Harvick’s career since 2001. He broke in with Richard Childress Racing at the same time I began covering NASCAR for ESPN.com. We’ve gotten to know each other fairly well since then. He hasn’t always liked some of the things I’ve written, as is his right, but we have had a mutual respect that I appreciate. 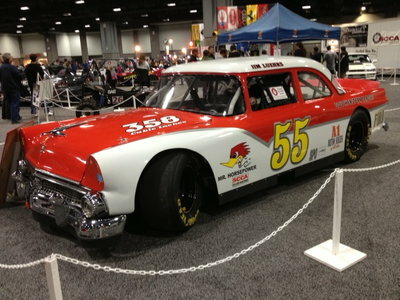 But the Harvick I saw after Dover kind of surprised me. While the Bakersfield, Calif., native has always been someone who wears his emotions on his sleeve – he’s feisty, sometimes cantankerous and is not afraid to get in a scrum with a driver he’s perceived did him wrong – Sunday was a different story. Harvick actually choked up after climbing from his car in Victory Lane. He tried to stifle a tear or two while probably feeling as if 10 million pounds of pressure had just rolled off his back when he crossed the start-finish line. I was not prepared for Mr. Tough Guy to show his soft side, a side he’s long kept hidden from view. But I can understand why Harvick may have let his guard down. Now that he just got through one of the most pressure-packed races he has ever competed in, he fully understood the significance of what he had just done and what it could potentially mean going forward. And that is pretty straightforward: Harvick is now the man to beat to win the championship. And for a second straight season, to boot. That’s not discounting guys like Denny Hamlin or Matt Kenseth, who won the first two races of the Chase, respectively. But if you take the whole of what Harvick achieved at Dover, and the way he achieved it, I predict he’s going to be unstoppable from here on out. The next event on the Chase dance card, Saturday’s Bank of America 500 is a unique race, not to mention potentially being the most pivotal race of this season’s Chase. The points have been reset, meaning all 12 remaining Chase drivers will come into Charlotte Motor Speedway on equal footing. Ergo, for one night, one race, they can forget about points racing – or even worrying about points, for the most part. Sure, they all want to have a good finish, which would bring about a decent place in the points heading into next Sunday’s race at Kansas. But Charlotte is a race where, even though they’re all tied for first place heading to the green flag, all 12 Chase drivers have just one thing on their mind: to win. That’s where Harvick is likely going to stand out yet again. There’s no question he’s had the strongest car and the fastest car all season. 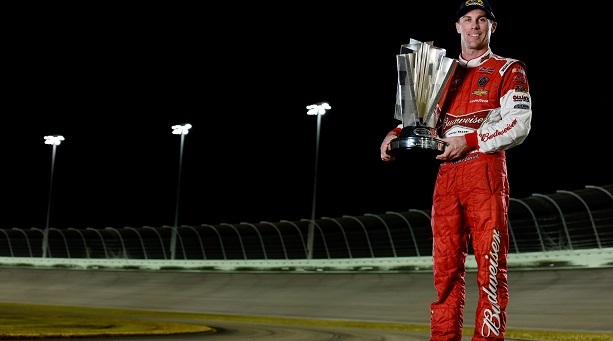 Even though he hasn’t won five or four races like fellow Chasers Matt Kenseth or Kyle Busch – Harvick has won three – no driver can match him for the consistency and the race-to-race drive that he’s had all season. He’s finished in the top-five 19 times and the top-10 23 times – out of 29 race starts. It’s also far better than what he did in all of last year’s 36-race season, with the exception of wins. In 2014, Harvick had five wins, but just 14 top-five and 20 top-10 finishes. Do you see where I’m going with this? As good as Harvick was last season, the numbers don’t lie: he’s far better in 2015 – and there’s still seven races remaining for him to get another win or two or even three. Starting with Saturday night in Charlotte. As special as 2014 was, 2015 could ultimately wind up establishing Harvick as the best driver NASCAR has seen since Jimmie Johnson – who was surprisingly eliminated at Dover. After what he did at Dover, it’s hard to bet against Harvick on Saturday: he’s won three times in his career at Charlotte. And if he keeps doing what he’s been doing, it’s going to be impossible to pick against him from winning it all again for the second straight year. Like I said earlier, from zero to hero to champ. It began with him on the brink of elimination, and now Harvick is on the brink of potentially running away with the title. Jerry Bonkowski writes for NBCSports.com. Follow him on Twitter @JerryBonkowski.